Danse de Saint-Guy [St Vitus' Dance] marks the apogee of Dada subversion: a "transparent" painting, without canvas or paint, reduced to the absurdity of a frame with string and labels, to no more than its packaging and description. 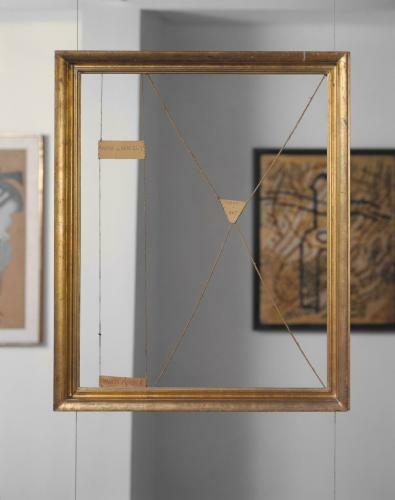 Clumsily fastened to the string or cord stretched across the frame are pieces of card bearing whimsical inscriptions. The work was intended not to be hung on the wall but suspended from the ceiling, as a mobile, and at one point Picabia planned to mount behind it a little wheel driven by two white mice. In sending this work to the Salon des artistes indépendants of 1922, the artist was signalling, as radically as possible, a fundamental challenge to established convention.